Catch Every Fantastic Wildlife Moment! Automatically captures high quality pictures (up to 12M pixels) or records 1080p HD video clips (WVGA or QVGA). 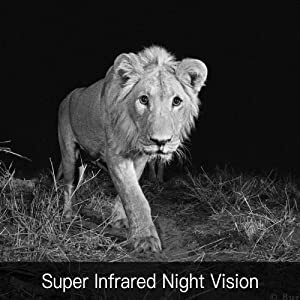 Infrared flash technology brings clear view of wildlife at night without bright flash which may scare the animals. Valuable moments of nights will never be missed. The hunting camera is a Camo Green color for low visibility. 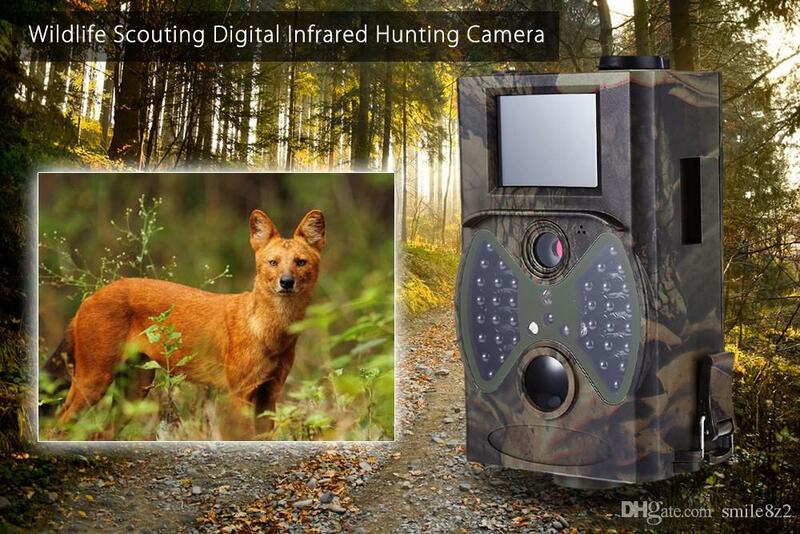 The design of the camera allows for ease of use with a 2.0-inch colorful LCD display, and weatherproof for outdoor usage make the Professional Hunters Camera the best hunting camera for all of your needs. It comes with a remote that works up to 9-meters away for even more utility and control that even comes with a built-in laser pointer! 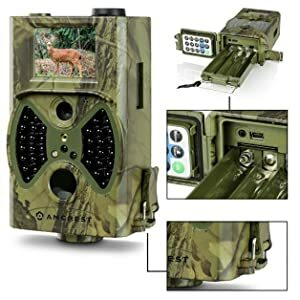 You can insert an SD card of up to 32GB, choose between 4 or 8 AA batteries, configure the Hunting Camera however you desire, then let the Hunting Camera work for you! Easily mount your camera to any tree or post using the included 72-inch Amcrest nylon strap. Simply insert the strap through the camera, around the tree, through the front jaws of the clip, out from the back and pull to tighten. Common threaded mount compatible with any Tripod. The camera can be triggered at once by any movement of human (or animals) in a certain region of interested (ROI) monitored by a high sensitive 100° wide Passive Infrared (PIR) field motion sensor and has a PIR Sensing Distance of 65-feet: the passive infrared motion sensors work around the clock to capture hi-res photos and HD video whenever a game is present. 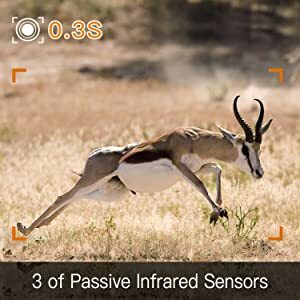 With an extremely fast trigger speed of 0.7 seconds and IR Triggers for Fast-Action Snapshots and Recording, you won't miss any of the action. With a truly professional grade hunting camera, you enjoy the assurances that make all the difference. Your Professional Trail Cam 2.0 Digital Game Trail Camera will capture all the action with 12MP still images and up to 1080p video! The result: High-quality HD images and video unequaled by other platforms on the private consumer market. The Professional Hunters Camera features 36 IR LEDs for Night Vision up to 20-meters (65-feet) as well as an IR-Cut filter for true-color images and video. In low ambient light, the unit automatically switches to night vision mode, ensuring continuous performance over a standby battery life of 3 months. More Storage for More Action! You can insert an SD card of up to 32GB for additional storage. This amount of storage and flexibility allows our user to get what they need out of this camera. Came in complete, no damage and well packed! We are about to bring this to our camping next week located near the house of my grandma just across the woods. So glad it came earlier! Night photos with the infrared are surprisingly good since it is too dark to see anything without the camera. I'm worried with the price as it is way much cheaper compared to some trail cams displayed in malls. But i'm stunned! what a good quality I've got for this price i can't believe it i'm so happy!!!! I like that the manual is simple to follow and it's been 3 days now since i've installed this trail cam in our backyard, the videos were actually good. The price is so much worth it!